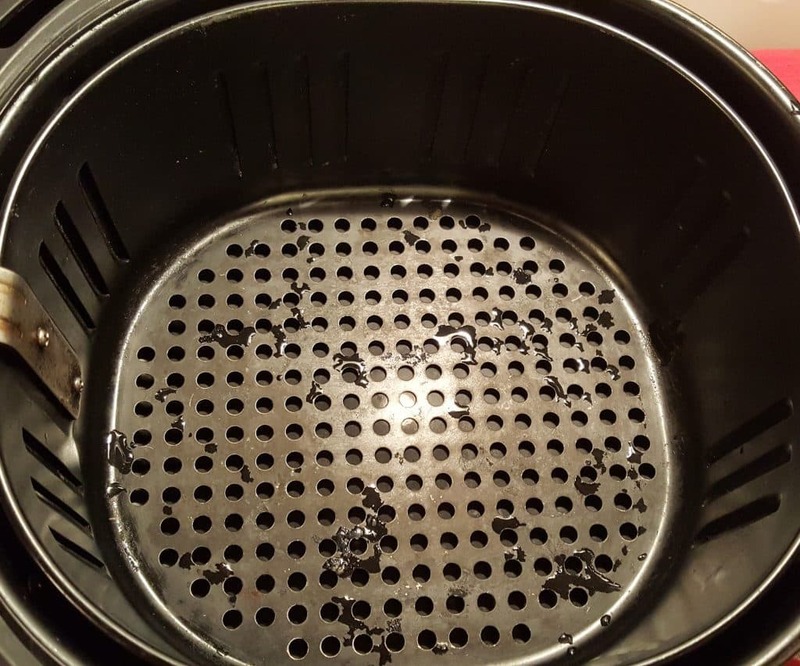 This article on How to Properly Season Air Fryer Basket to Prevent Sticking, will help teach you how to prevent most sticking issues. The latest kitchen appliance to become super popular is the Air Fryer. 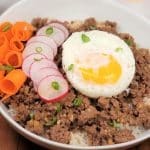 We can all have our favorite deep fried foods without actually deep frying and without using oil. Wrong! 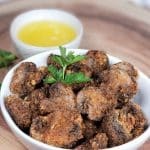 An Air Fryer does not take the place of a deep fat fryer, but it does allow us to have many of our favorite fried foods without deep frying and without tons of oil. However, oil is still needed in an Air Fryer. Most of the Air Fryer on the market have a “non-stick” coating. 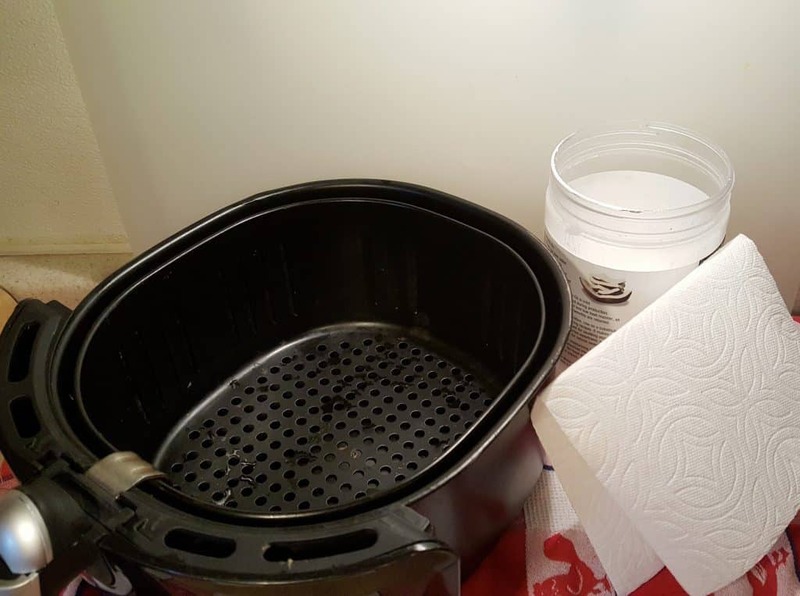 Unfortunately, that coating is definitely not “non-stick.” In order to help keep your food from sticking to the Air Fryer basket, it is important to season your Air Fryer before cooking and/or after cleaning. You will only need Coconut Oil and a piece of Paper Towel. Please do not use aerosol sprays like Pam, as that will only build up grease and cause more peeling. 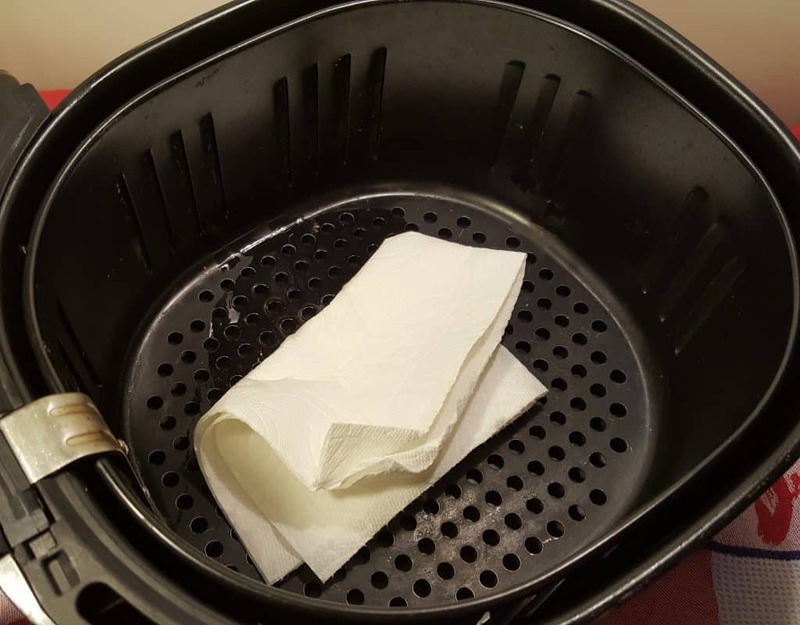 Using a soft sponge, soap and water, wash your Air Fryer basket and drawer in the sink. Use a kitchen towel and lightly dry the Air Fryer drawer and basket. You don’t need to dry it totally, as the Air Fryer itself will do a great job of drying the basket and drawer. Place the basket inside the drawer and place it into your Air Fryer. Turn the temperature to 400 degrees and set the timer for 5 minutes. Remove the drawer after three minutes. Using a paper towel, scoop out some Coconut Oil and rub it all over the Air Fryer basket. Just a thin layer is needed. Don’t go crazy with a thick coating. Place the drawer and basket back into the Air Fryer, which will continue to stay on for two more minutes. Prior to using your Air Fryer before cooking anything, rub a thin coating of Coconut Oil over the whole basket. I like to use The Fine Life Ideal Olive Oil Mister for spraying food with oil. Remember, this is not a deep fryer, but most food, will require that you spray your food, top and bottom, with Oil. 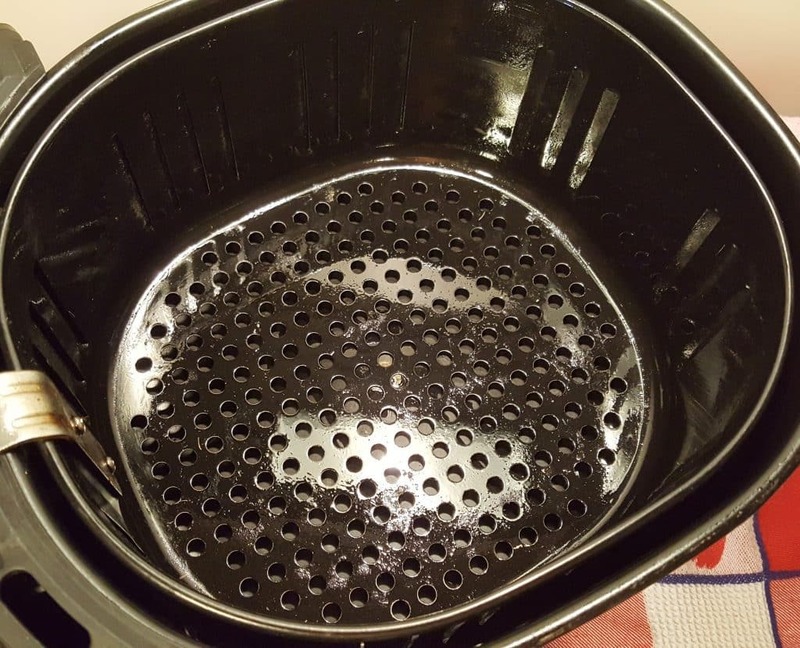 PIN this How to Properly Season Air Fryer Basket to Prevent Sticking! How often do you season the badket? I have the same question too. Also, can you still put it in the dishwasher? my airfryer smokes… I think i cooked too many fatty foods (chicken wings) now even if i have french fries in it, it smokes a little. do you have any advice on stopping the white smoke or completely getting the oil out? I read in another post if you put a little water under the basket then the smoke will stop. There will always be a bit of white smoke. Don’t worry! Make sure to clean your air fryer each time you use it. Thank you for this article. I am trying to read all about the air fryer before I use it. Do you have any recipes for a pork tenderloin? Interesting article. I was not aware of seasoning the basket for these Ari Fryers. I don’t own one yet. I’ve been studying about them to make sure it would really be a kitchen appliance I would truly use. Can you use something besides coconut oil? My son is allergic to it. Wondering the same. I am highly allergic to coconut too. Aggravating how many recipes call for it now. Should I re season the basket after each use? Or does the first seasoning last for awhile? Can you only use coconut oil to season? How often do you have to season it? Each time you cook something in it or once in awhile? Can Olive oil be used instead of coconut oil? Since you’re seasoning it at 400 degrees, I’d use an oil with a high smoke point, like grapeseed oil if coconut oil is something you can’t use. I am new to cooking with an air fryer. I haven’t cooked any foods in it yet. 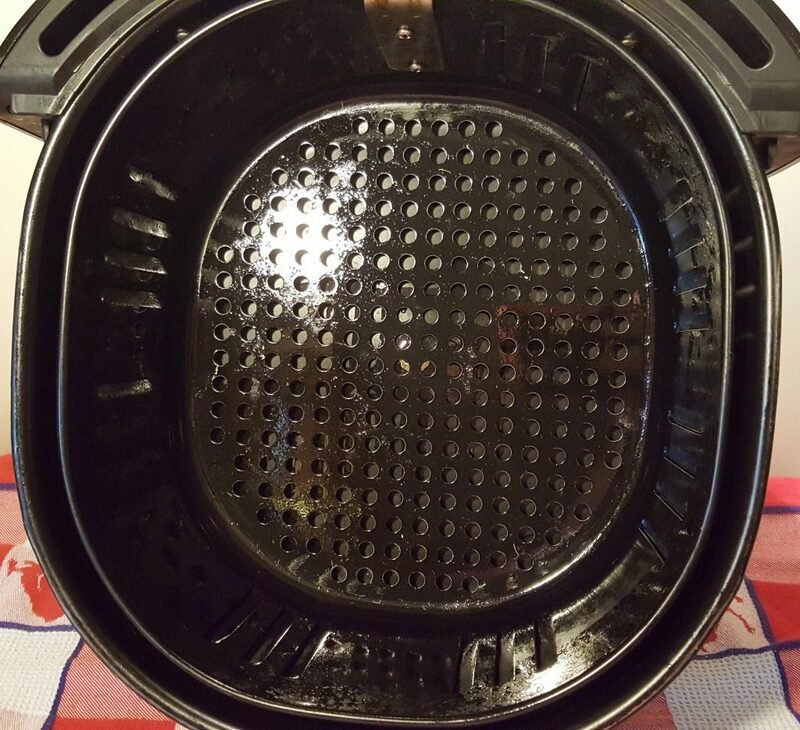 Does the air fryer basket need to be seasoned after each use or just before the initial use? 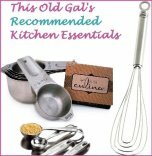 I will be checking back for any tips and recipes as I am anxious to start using it. Thanks for the info for seasoning my new Air Fryer. I’m really looking forward to using with your receipes! Many thanks for the info – the basket in my air-fryer (kogan brand) is a cyclinder suspended by the rotisserie rod and looks to be “stainless steel fly screen wire”, however I am familiar with treating cast iron much as your article says. However, I have a problem with which you may be able to help. 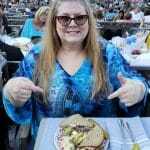 My air fryer is brand new and so far I haven’t the confidence to use it as I cannot find out if you can put food in the stainless steel bowl – all recipes (about 8) that came with it are placed on a wire rack – I am also an “old gal” having just turned 81 and usually cook on a slow combustion stove but finding using the chain saw is becoming a chore rather than a diversion routine, so bought the air fryer as it is supposed to do anything an oven can do as well. do you have to do this every time before you use the air fryer? How to stop my geo wise hot air basket from peeling….the black paint is peeling and we are worried we are eating a chemical? I’ve got a quick question concerning seasoning my air fryer. Is this something special I should do before I use my air fryer the first time or does this refer to what I will do with an oil mister each time I cook? If it is a special procedure before first use, should I only use coconut oil or can I use canola oil? Thanks. Merry Christmas to me….5.5quart air fryer. 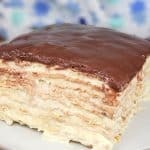 Thank you for all the help hints recipes. Love “This old gal”.com. From another older, this old gal in Kentucky. 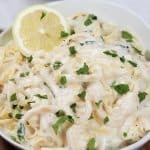 HI, thanks for sharing your recipes. As I type, I am trying the Cuban frijoles in my instant pot. Quick question to seasoning the air fryer basket. Can another oil than Coconut be used? I had an allergic reaction to Coconut oil. What is the dimensions of this air fryer? I need to find a spot for it before I order it. Is this still your favorite? Thank you- for sharing. Very helpful and got us off on a good start with our Air Fryer! Thank you! Thank you! Thank you! I was starting to look around for a copper lined basket air fryer. I haven’t seen anything i’d like. Then i came upon this post this morning! You really are awesome! I’m interested in why it doesnt talk about seasoning at all in my gowise owners manual? I assumed you needed to, but wouldnt have if I didnt see this post before trying it out for the first time. Thank you, Jill, for providing us with this valuable information. I followed your seasoning directions the first time I used my new AF. Second time using, and every time thereafter, following cooking, cleaning, and drying, do we season and heat again prior to putting AF away until next time? Buying a air fryer and looking for ideas and recipes for air fryers. Thank you! I don’t have coconut oil. Will vegetable oil or olive oil work? Can you tell us how to clean the AF basket of backed on grease? Nothing I have tried will even begin to remove the build up. This would not work for me as I am allergic to coconut. Any alternatives? 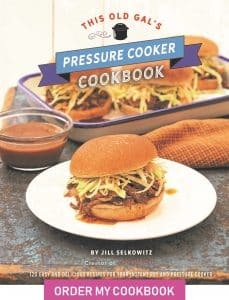 HI DO YOU ALSO HAVE AN AIR FRYER COOKBOOK OUT? Can you spray the inside of the air fryer basket with a spray of its coconut oil? Thank you, Jill, this makes so much sense to me! The last thing I want to experience is flecks of “nonstick” coating in my food – that would gross me out. Your instructions are thorough but simple. There should be warning when seasoning AF. While applying the oil, make sure to wear a heat resistant gloves because the cooking basket will be very hot and will cause severe burn if any part of the metal basket is accidentally touched without hand protection.